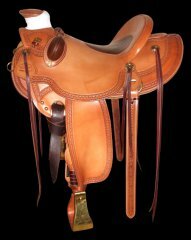 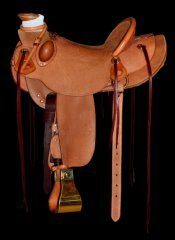 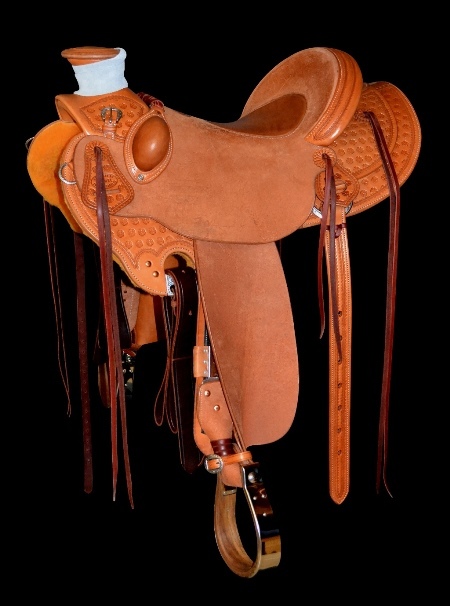 The traditional Wade is the most popular Western saddle made at BETHEL SADDLERY and the Wade is the first choice of most western horsemen & clinicians. 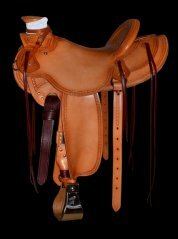 For several years now the BETHEL SADDLERY Wade has also been one of the first choices of horsemen & horsewomen throughout Australia. 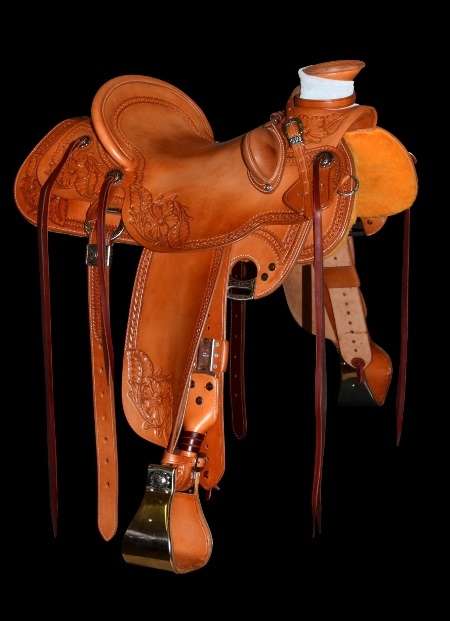 Michael Bethel was not only inspired by legendary saddle maker Dale Harwood he had the opportunity to learn the finer points of the construction of this iconic saddle from Dale. 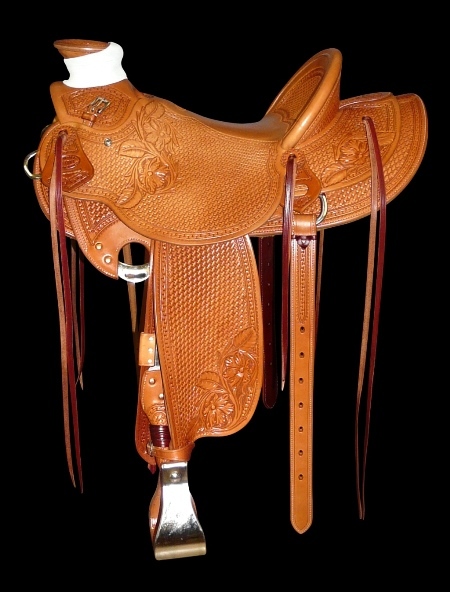 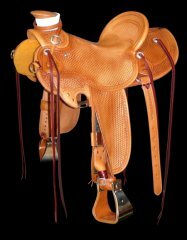 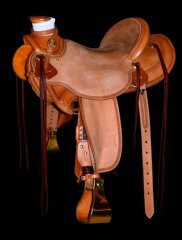 Suitable for stock work, colt starting and just general riding, every slick fork Wade saddle that comes out of the Bethel Saddlery shop is built using the famous Warren Wright rawhide covered saddle trees.The Wade saddle history is interesting and you may enjoy reading a little of the history about this saddle. The Wade Saddle Pricing Page shows most options but please contact us if you have any other requirements. Flat plate rigging, round skirts, 'Carlos'/basket/floral combination tooling, straight cantle, SS bound Moran stirrups. 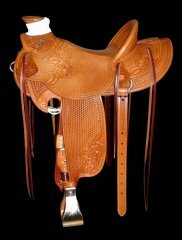 Flat plate rigging, round skirts, 'Carlos'/floral combination tooling, straight cantle, SS bound Moran stirrups, buck rolls. Flat plate rigging, round skirts, 'Carlos' border tooling, Cheyenne roll cantle, SS bound Moran stirrups. 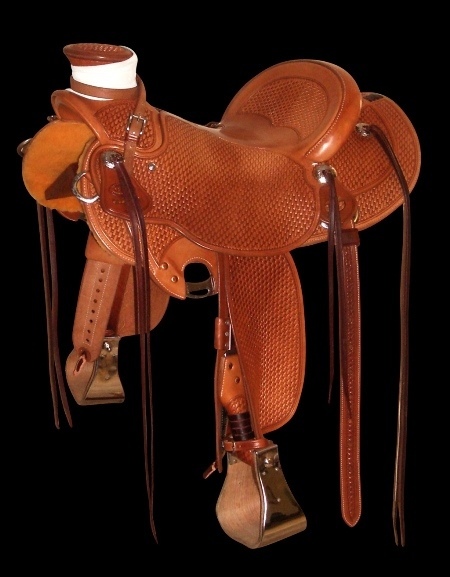 Flat plate rigging, round skirts, 'Carlos'/basket tooling, straight cantle, SS bound Moran stirrups. 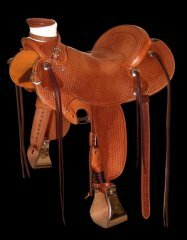 Flat plate rigging, round skirts, 'Shamrock' stamping, Cheyenne roll cantle, SS bound Oxbow stirrups, inlaid padded seat, buck rolls. Half rough out. 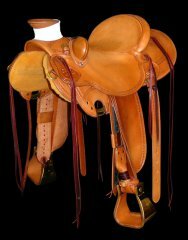 Flat plate rigging, round skirts, full basket tooling, Cheyenne roll cantle, SS bound Moran stirrups. Conchos. Flat plate rigging, round skirts, 'Carlos' border tooling, Cheyenne roll cantle, brass bound Moran stirrups, hardware & conchos.Â Buck rolls. Flat plate rigging, round skirts, Cheyenne roll cantle, SS bound Moran stirrups. Rough out. 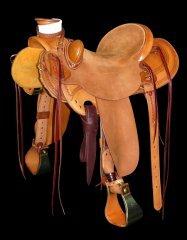 Flat plate rigging, round skirts, 'Carlos' border tooling, Cheyenne roll cantle, brass bound Moran stirrups, hardware & conchos. 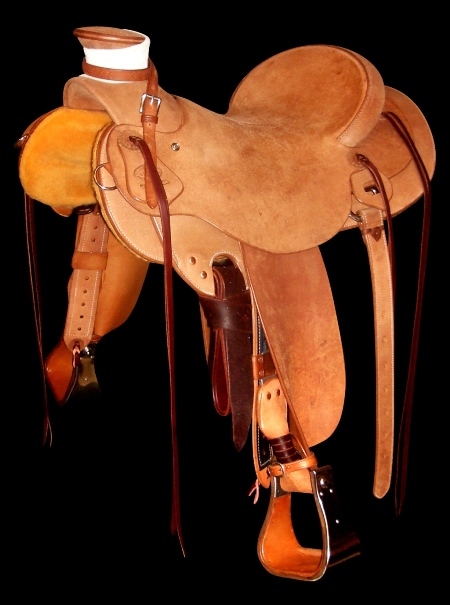 Buck rolls.